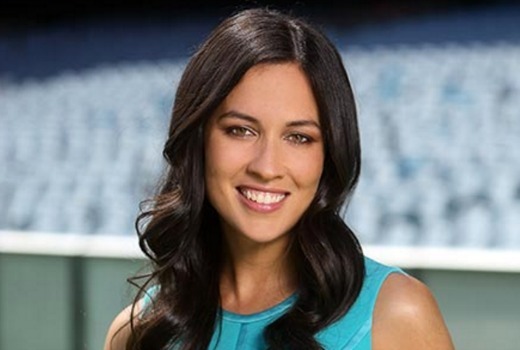 Former TEN sports presenter Mel McLaughlin will replace Jim Wilson at the Seven News desk in Sydney from Sunday April 3rd. Wilson will present sport on Fridays and Saturdays. McLaughlin is also expected to join Seven’s Olympics coverage. Perhaps Seven Sydney need to actually address the real issue with the bulletin. Seven have now replaced the weather presenter and sports presenter whilst the actually problem is Mr Beige, the newsreader. Chris Bath should never have been replaced. The problem was the content, not the presenter. Now the problem is the presenter and the content. Now add in a sports presenter who is very rough around the edges. If Jim Wilson is doing sports during the week end then where or what is Ryan Phelan doing? Glad I don’t live in Sydney. Glad to hear Wilson is gone. A case of bringing in the babe and throwing out the Bathwater. Good luck Mel. I’ll be watching her read the news in April. You know you can stream Channel 7 from anywhere now? I preferred Jim as well. Mel is better off reporting out in the field. Jim brings a positive bright attitude to the role other anchors can’t bring to TV. Figured they would get her to do sport. Did I not read that Jim has been moved to senior sports presenter or something. Maybe he will be out and about doing reports. Wow, you read my mind. Won’t have to reach for the remote volume control anymore. Thank you Seven Sydney.